Flashback to 1960; a shadowy figure crosses the East German border - a double agent, falling into a trap set by Irwin Gunner (Ian Hendry); he escapes before his identity is learned, Gunner shooting him in the left leg. Back at the circus where Gunner & "Fritz" - John Cledge (Barry Jackson) - are trapeze artists as a cover, they discuss the White Rat while practicing but Fritz deliberately short-arms Gunner and he falls to the ground in front of the third of their troupe, Bridgit (Genevieve Allenbury). Later, a Ministry radiographer (Bernice Stegers) receives an unlikely signal, "The flier has landed" and the New Avengers investigate. Cledge too has heard the signal and tells the White Rat they're both sunk if he resurfaces. They get a fix on the signal before the Ministry do and start searching, while the New Avengers search the archives for an agent codename 'flier'. 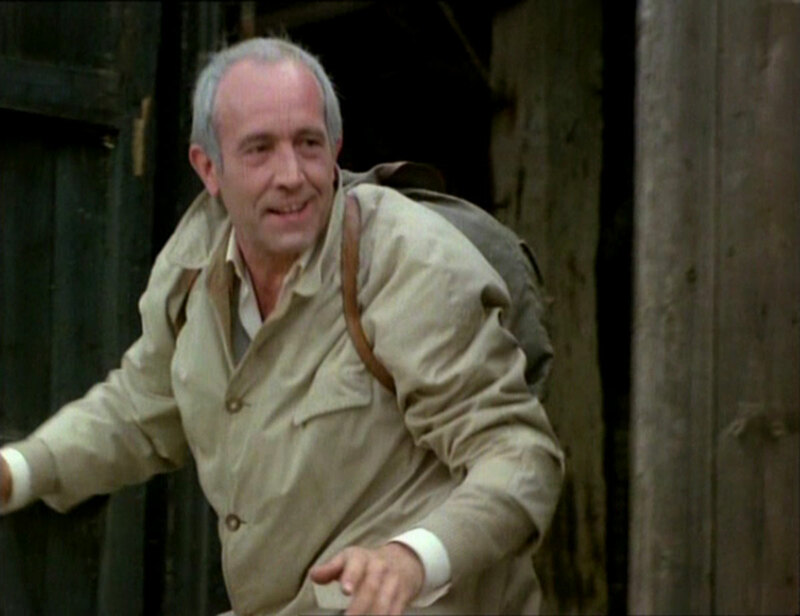 Gunner escapes from a farmer (Dallas Cavell) and his farmhand who check the barn he's hiding in and calls in again; department head Finder (Jeremy Hawk) recognises the morse rhythm as that of Gunner. Cledge meanwhile interviews the farmer, saying he's Gunner's brother. Meanwhile, the New Avengers realise Gunner is reporting in - 17 years late. Gunner has another flashback when he tells another girl he won't drop her if she jumps. 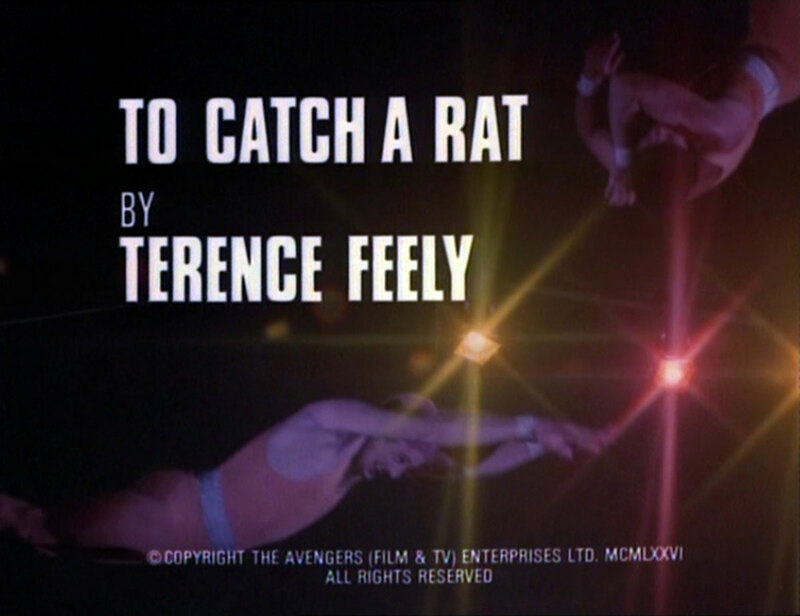 Steed asks the minister, Quaintance (Robert Flemyng) and Cromwell (Edward Judd), head of D16, for help is reeling in the lost agent - and gets it after Gunner broadcasts across the spectrum from a radio pylon. Purdey and Gambit search the area, but Cledge is a step ahead, as he knows to check churches in the area. Gunner calls in from the church, telling them he's in site 3 and Finder remembers that means a church so after afew false starts Purdey & Gambit head towards the right one. Cledge gets there first and is killed when he tries to shoot Gunner. 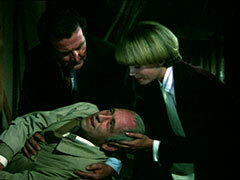 Gambit & Purdey rush in when they hear the shot, finding only Cledge's body. Grant (Anthony Sharp), in his bubble bath, has a surprise visit from Gunner who checks his left leg for a scar then leaves - Grant had been in the same outfit in the '60s. 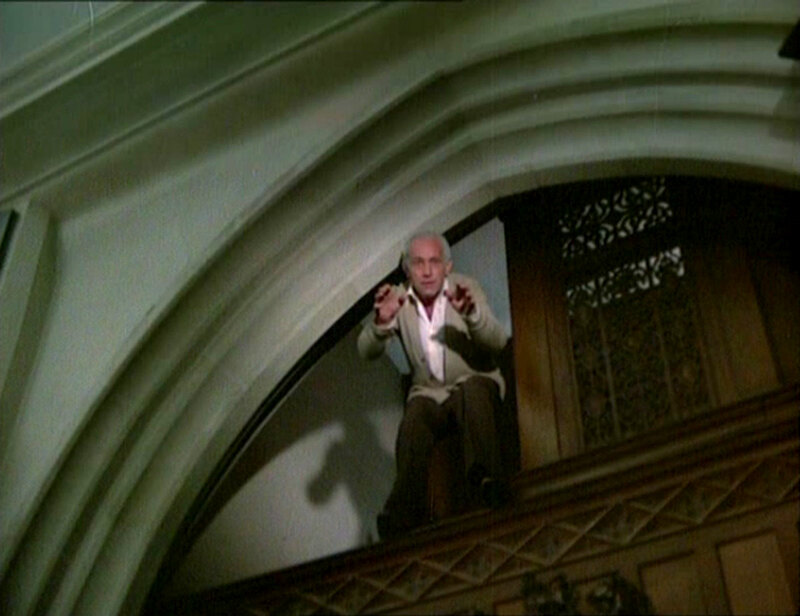 Purdey breaks into Cledge's apartment, but has to fight another intruder - revealed to be Cromwell, who then proposes they join forces; Purdey tells him to take his trousers off - she'd ripped them in the fight... Quaintance retrieves the files on Gunner's unit, and limps off. Gambit finds the files have been recently checked and Steed finds Quaintance rifling outfit member Mark Gilpin's desk at the university - Gilpin (Terry Plummer) is jumped by Gunner on his return. Gunner sees Quaintance limping away and assumes he is the White Rat. Steed is grooming a horse with Helga (Anita Graham) when Gambit arrives, showing him a file. Purdey makes a dinner date with Cromwell, while the others lean on Quaintance for suppressing information. Quaintance says he never met Gunner and only lasted a few weeks in the East before he had to get out, breaking his right leg in the process; his replacement suffered a similar fate, being mysteriously shot in the left - his replacement was Cromwell. Gunner calls Cromwell, saying he can trust only him to help him expose the White Rat - they arrange a rendezvous at an old cinema; Purdey and Cromwell leaving moments before Gambit and Steed burst in. Gunner rings back, nervous that Cromwell hasn't arrived yet and they set off in pursuit. At the cinema, Gunner names Quaintance, describing the leg wound, but Purdey reasons he wouldn't still limp after sixteen years, and remembers Cromwell has a scar on his left leg. Gunner demands to see, but is shot by Cromwell, who turns his gun on Purdey. Before he can kill her, a wounded Gunner shoots him as Gambit and Steed rush in. Driving in Steed's car the next day, Purdey teases them about how she knew about a scar so high up Cromwell's leg.